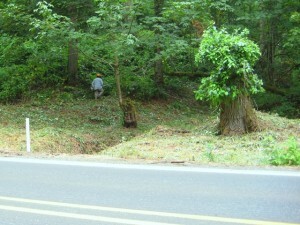 Click on any photo to open a larger version. 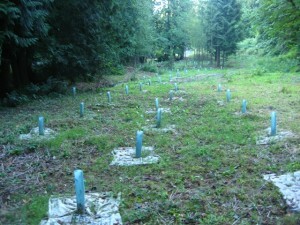 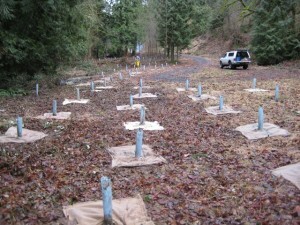 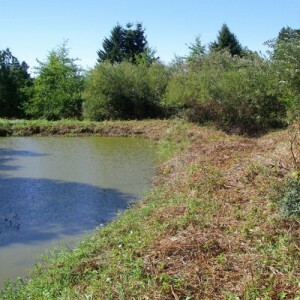 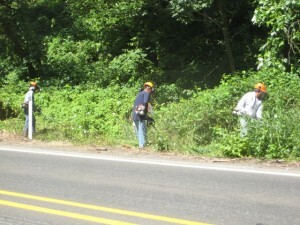 For properties choked with blackberry, the first step is to clear the area for planting. 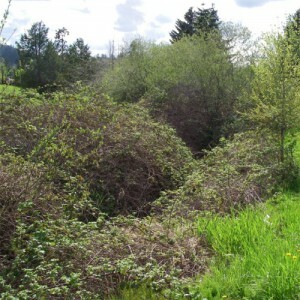 Before restoration, this area was overgrown with blackberries and other weeds (1). 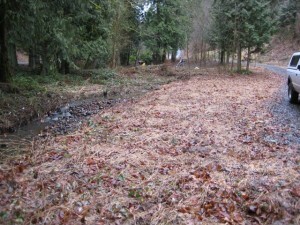 The area is cleared (2), allowing beautiful native trees and shrubs to come back (3). 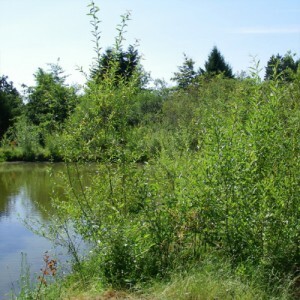 Over time the native trees and shrubs that we plant will restore the streamside to its natural beauty, protecting the bank from erosion and providing shade for the creek.